Soft and romantic, curled to perfection, natural, retro or modern…whatever you envision your Wedding Day hair to be, Ashley Lynn Artistry is here to help you look your best! I’m Ashley and I’m a Boston-based hair stylist with a passion for weddings. Ashley Lynn Artistry serves the Greater Boston area, including Cape Cod, Southern New Hampshire, Maine, Providence, and Worcester. My goal is to provide both a superior customer experience and tremendous value for my clients. Click on the links below to learn about the services I offer, pricing, FAQ’s and more about me. If you have any questions or would like to schedule a consultation, please contact me by clicking here. Ashley Lynn Artistry services include hair styling for you and your whole party, photoshoots, and styling for other big events. Click here for all the details! 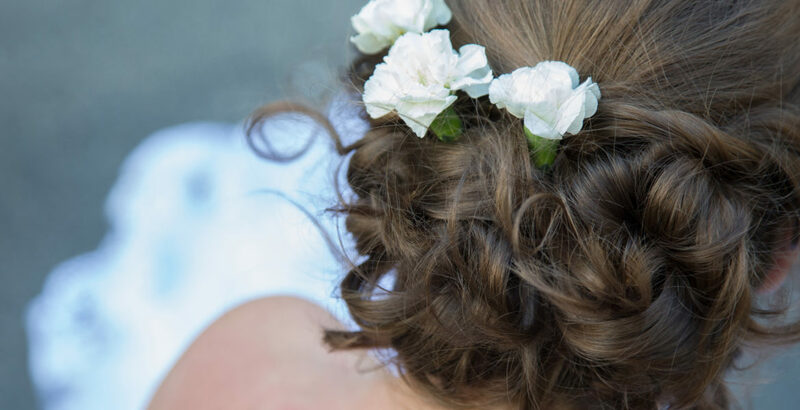 Should you wash your hair the morning of your wedding? Visit the Ashley Lynn Artistry FAQ page for the answers to this and other commonly asked questions. Hi, I’m Ashley, and I’m here to help you look your best on one of the biggest days of your life! Click here to read more about Ashley Lynn Artistry. 2016 © Ashley Lynn Artistry. Website designed by Polar Square Designs.